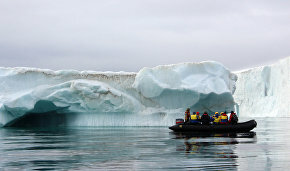 On June 4, the first tourist cruise of the season set out from Murmansk for the North Pole. How many trips are planned this year? What new offers are there for Arctic tourists? 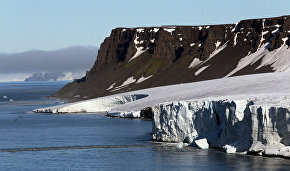 This year we have 10 tours planned — seven aboard the 50 Let Pobedy nuclear-powered icebreaker (the first set out from Murmansk on June 4) and three new routes from the Svalbard, which will go directly to Franz Josef Land. This is an entirely new route. If this pilot project is a success, I believe it will represent a serious breakthrough in Arctic tourism. How long will the tourist season last this year? The tourist season is rather short. This year the first icebreaker set out on June 4 and the last will return to Murmansk on August 22. So the season will be a little shy of three months. How many tourists visited the Arctic last year? Over 700 tourists visited the Arctic last year and this year we expect the numbers to grow by about 40 percent. I believe that this season we will get about 1,100 Arctic tourists. What is the ratio of Russian to foreign tourists? Are there more Russian or foreign tourists? Arctic tourism is international. We actively work with international tour operators. A huge number of foreign tourists are interested in this kind of trips. Last year, tourists from 33 countries visited the Arctic. The number of tourists from China was high as per usual — 31 percent of the total. There are also Germans, Japanese and Americans. There are not so many Russians — 5.7 percent of the total. By the way, 2014 saw an increase in the number of tourists from India, Malaysia and Australia. What tourist routes are available now? What does the Russian Arctic National Park have to offer? The main form of Arctic tourism is sea tourism. That is to say, people go to the Arctic aboard cruise ships — floating hotels that travel along a designated route. I would like to note that Russia's Arctic land differs, say, from Svalbard in that it is completely undeveloped. Tourists who come here want to see pristine land unaffected by human activity. We at the Russian Arctic National Park have developed local management plans. There are six in all. They provide brief information about the area, a map with sites to be visited, and sightseeing rules. Naturally, all of this was developed based on data obtained through a series of research expeditions, not just improvised. In other words, we have spelled out the rules for visiting each particular place. Last year, we road-tested these maps. We are continuing to expand the number of these plans. Do you build tourism infrastructure in the Arctic or do you leave nature in its pristine state? Naturally, amenities are needed at some points, but this should be minimal. We also minimize the tourist impact on the environment. For example, there is no need to build trails on Champ Island, with its famous boulders, because they have already been created there by nature. So, tourists should take the route that's already there. To this end, we are developing a detailed map that an expedition leader can study and then guide tourist groups with. The natural environment can be combined with some infrastructure, as, for example, on Cape Flora. A combination of a local management plan and infrastructure is crucial here. The soil is covered with unique moss that cannot be bypassed, so a boardwalk had to be built. We are actively working at Tikhaya Bay. Last year a post office opened there. Imagine how excited tourists will be to go there and send a letter or parcel to the Mainland. It is noteworthy that Tikhaya is an integrated site. It can be explored both at sea and on land. It is the location of the first polar station, and walruses and polar bears can often be spotted there. The territory of the bay has been completely cleaned up. We had to work manually, not using heavy equipment, to preserve the natural soil cover. There are almost no tours to Heiss Island at this point because it has not been cleared of garbage yet. You have mentioned clean-up operations in the Arctic. How long has the Russian Arctic National Park been doing this? 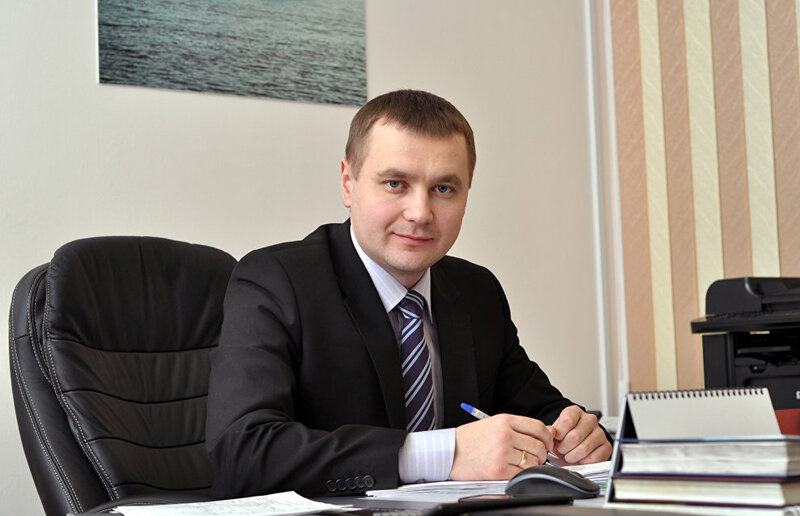 In 2011, the Ministry of Natural Resources and Environment carried out a special survey of the Russian Arctic (the Franz Josef Land Federal Reserve which is administered by the Russian Arctic National Park) and in 2012 the ministry tasked us with cleaning up this territory. The actual work is done by contractors that we hire. We have already eliminated the "hot spots". Each year, we removed between 8,000 and 10,000 metric tons of garbage and a total of about 30,000 metric tons in the past three years. We are currently cleaning up Heiss Island, Novaya Zemlya and other places. What other activities do you engage in? We are involved in educational activities, among others. Our office is based in Arkhangelsk, 1,900 km from Franz Josef Land. Naturally, many people cannot afford to go to the Arctic — it's too costly and too far. So we try to educate people, especially children, about this land, its unique flora and fauna and about what is happening there. We also help organize research expeditions. 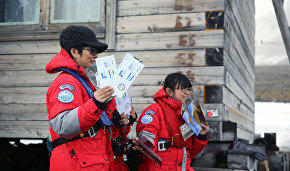 In addition to our national park employees, research associates from universities, research centers, and other organizations go to Franz Josef Land. 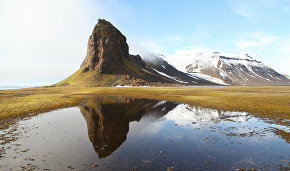 This year's expedition will travel there on June 27 and spend the entire field research season there. By the way, when will the field research season in the Russian Arctic National Park begin this year? It began on June 18 and will last about two and a half to three months.